Leather belts using the thickest 9/10 OZ cowhide (The best you can use for a belt). We hand finish each belt and use a durable lacquer finish on each belt that will last for years! This is one piece of leather, not pieced or composite leather. All belts come with snaps, so you can easily change buckles, and a leather keeper and standard buckle. All our belts are made by us in High Springs, Florida. 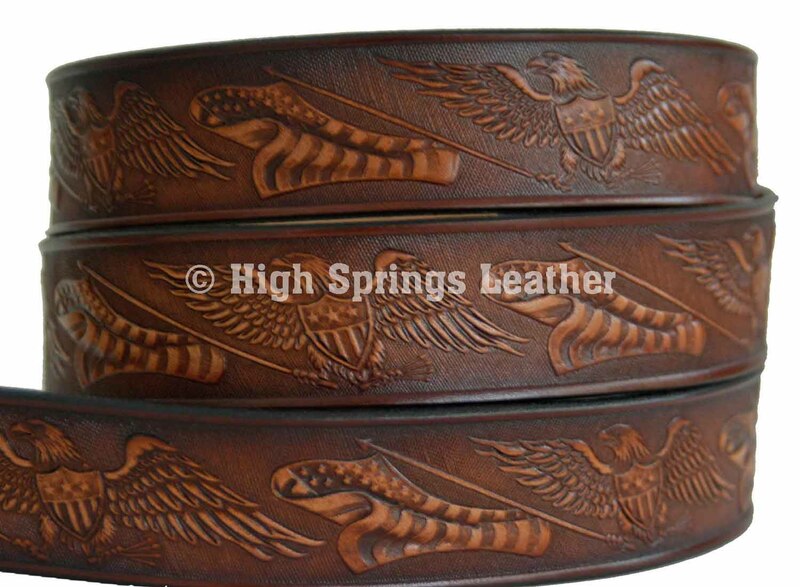 Choose from our large variety of leather belts including deer, fish, eagle, hand painted belts and occupational belts. Please measure properly, belts are not returnable. Please email or see our size guide for help with size.